Bladder pain syndrome/interstitial cystitis (BPS/IC) is a chronic disease characterised by persistent irritating micturition symptoms and pain . While there is no general agreement on the precise pathophysiology of this disease, a disorder at the level of the urine–tissue barrier of the bladder seems to be the underlying mechanism behind the functional, anatomical and symptomatic manifestations in a considerable number of cases. Even if study results are not entirely consistent and, therefore, the subject is not closed, a defect in the protective bladder’s mucous lining of glycosaminoglycans (GAG) and, thus, the urine–tissue barrier, has been documented in a subset of BPS/IC patients , mainly demonstrated by a positive potassium sensitivity test (PST) [3, 4, 5, 6] and the favourable response to GAG-restoring agents. Glycosaminoglycans are classified in four structural families  (heparin and heparan sulphates; chondroitin and dermatan sulphates; hyaluronan; and keratan sulphate) and have been used during the last few decades as intravesical instillations for GAG substitution therapy with the benefit of delivering high concentrations of the therapeutic agent at the target tissue with a low risk of systemic side effects . The diversity of available therapeutic agents for GAG substitution may make it difficult for physicians to choose the optimal treatment for their patients [9, 10]; therefore, the selection of a particular therapeutic regimen should be based on its capacity for symptom improvement, its impact on the patient’s quality of life, and its costs . Heparin has commonly been used off-label for BPS/IC therapy. Pentosan polysulphate (PPS), a semisynthetic heparin-like GAG of low molecular weight (MW) classically used for oral therapy of BPS/IC, is also available for intravesical instillation. Today, hyaluronan, the salt of hyaluronic acid (HA), and chondroitin sulphate (ChS) are the two most commonly used GAGs for intravesical treatment, alone or in combination. Other intravesical instillations containing anaesthetic solutions, such as lidocaine and bupivacaine, are also used in combination with sodium bicarbonate to control bladder pain , while dimethyl sulfoxide (DMSO), which has a putative effect on the sensory peripheral nerves of the bladder , is the only intravesical therapy approved by the FDA. Despite the widespread clinical use of each of these substances, the research-based evidence regarding therapeutic efficacy is limited and mainly based on uncontrolled trials. Levels of evidence for the use of these agents have been rated 1b for PPS and heparin, and 2b for HA and ChS in their different concentrations . The aim of this meta-analytical review is to directly compare the data on the clinical efficacy of products currently available for intravesical BPS/IC therapy and to assess their pharmacoeconomic impact to assist in therapeutic decision-making. Preferred Reporting Items for Systematic reviews and Meta-Analyses (PRISMA)  guidelines were used to perform a comprehensive search for literature on intravesical therapy for BPS/IC and published in the PubMed/Medline database from 1996 to 2014. The Medical Subject Heading (MESH) search terms used were: interstitial cystitis, bladder pain syndrome, intravesical treatment, intravesical chondroitin sulphate, intravesical hyaluronan, intravesical PPS, intravesical DMSO, and intravesical lidocaine. Data were extracted from each publication by two independent reviewers (CLL and AMG) and included: type of study according to the presence of a control arm (controlled or uncontrolled clinical trials), randomisation (randomised or non-randomised controlled trials) and observational studies (prospective or retrospective), type of intravesical solution, total of patients at baseline (intention-to-treat analysis), total patients treated (per protocol analysis), number of patients lost to follow-up, therapy regimen (total number of instillations/frequency of application), instruments/scales used for evaluation of symptoms before and after treatment, and response rates (RR), considered as the percentage of patients with symptom reduction after therapy out of the total study sample . In the absence of an explicitly cited definition for RR, and according previous publications [16, 17], a reduction of ≥2 on a visual analogue scale (VAS) was considered to be a response to treatment; the percentage of responders was inferred by calculating the z value, defined as the proportion of responders within confidence intervals at 95 % (CI 95 %). The different products were compared with regard to the average reduction of bladder symptoms on the VAS and the overall response rates by calculation of “Cohen’s d” , a statistical value for effect size (ES) based on differences between mean values and the average difference in the proportion of patients with a response to treatment and allows the difference between the two groups to be quantified using the standard deviation. While the broadly accepted and cited p value informs whether an effect from the investigated measure exists, it does not reveal the size of the effect. For Cohen’s d, a low value < 0.5 shows a small ES, d values > 1 are regarded as large ES. From the CTs, a post-hoc calculation of a composite VAS/RR odds ratio (OR) allowed the comparison of results of different intravesical agents with the placebo/control-treated arms. These values were also used to calculate the number of patients needed to treat (NNT) to obtain a response. Finally, the pharmacoeconomic assessment was performed by multiplying the unit costs by the number of instillations administered in each CT. Costs per unit and frequency of instillation (one per week) are very similar for HA and ChS products; thus, a cost factor of 1 has been assigned for these two therapies. PPS is less expensive (instillation units cost 40 % of HA/ChS, oral therapy 20 %), but has to be administered two or three times per week and may be accompanied by oral therapy, Thus, a cost factor of 0.4 for intravesical/0.6 for intravesical and oral therapy has been assumed for PPS trials. The Medline search led to a total of 345 hits. Initially, all titles and abstracts were reviewed to identify studies not directly reporting on BPS/IC or intravesical treatment for BPS/IC, reviews, and other type of publications not suitable for this analysis. From the 33 studies selected according to the outlined criteria, 11 (33.33 %) assessed intravesical therapy with HMW-HA 0.08 % (of which one paper also evaluated intravesical heparin), 7 studies presented the results of ChS 0.2 % therapy (21.21 %), and 3 studies evaluated treatment with ChS 2.0 % (9.09 %). Results of the combined formulation of LMW-HA + ChS 2.0 % were presented in 4 publications (12.12 %), 3 papers assessed the results of intravesical treatment with PPS (9.09 %), 2 with lidocaine (6.06 %), and another 3 articles reported results with DMSO (9.09 %). No publications on LMW-HA alone for the treatment of BPS/IC were retrieved from the search. The main criteria for the exclusion of studies were reports on combination therapies with non-GAG substances, duplicity of results (same sample of patients), and results not comparable in a standardised way because of the different instruments used for outcome evaluation. Thus, 2 of the articles on HMW-HA therapy were excluded from further analysis because they involved combination with alkalised lidocaine  or oral PPS . Similarly, 2 publications on DMSO were excluded because of combination therapies (DMSO + hydrocortisone + heparin sulphate  and DMSO + triamcinolone ). One study with the combination of LMW-HA 1.6 % + ChS 2.0 %  was excluded owing to obvious coincidences with another publication . The majority of the selected publications referred to BPS/IC therapy, except for 2 papers on ChS 0.2 %, which evaluated the product in patients with overactive bladder [25, 26] and for the prophylaxis of radiation cystitis ; 2 of the excluded articles reported on the efficacy of a combination of heparin and lidocaine as an acute analgesic intervention for severe pain [28, 29]. Two publications on HMW-HA 0.08 % therapy were excluded because they evaluated symptoms with different non-standardised scales [30, 31], and in one study in which patients received intravesical instillations with LMW-HA 1.6 % + ChS 2.0 % data on VAS pain scores were missing . The full text version of one publication for ChS 0.2 %  could not be found after searching several databases. In summary, 14 publications were excluded (Fig. 1). 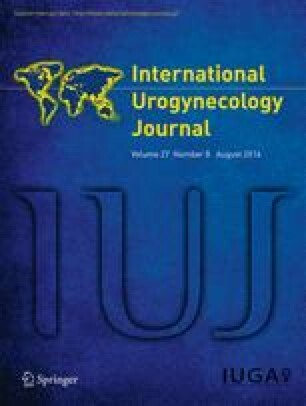 The final set of 19 articles on intravesical BPS/IC therapy was further qualitatively and quantitatively analysed: 5 studies were prospective controlled trials [34, 35, 36, 37, 38], 1 compared different intravesical products , 1 paper was designed as a retrospective study , and another 1 compared two different regimens of the same product . The rest of the trials were classified as uncontrolled clinical studies (Table 2). The final sample of 19 trials corresponds to a total of 801 patients, with 228 patients evaluated in a CT. Only 4 trials included male and female patients [15, 35, 44, 45], while the rest of the studies exclusively included women. Diagnosis of BPS/IC has been made according to NIDDK/National Institutes of Health criteria in most studies (one including cystoscopic examination ), except for three publications (ESSIC criteria , the East Asian guidelines  or clinical perception plus cystoscopy ). Other relevant differences were also detected: six of the studies included “treatment-refractory patients”, considered to be cases with an inadequate response to previous BPS/IC treatments such as intravesical DMSO , heparin and/or PPS [15, 41] and/or oral drug therapy [24, 43, 47]. One study only included “naïve patients” (no previous disease-specific treatment) with a positive PST and a reduction of ≥ 2 points in symptom score after the first instillation of ChS 0.2 % . Initial instillation therapy was performed weekly in 73.7 % of the studies, but with different follow-up schedules (Table 2). The instillation procedure was similar in most studies, with the exception of one trial, where a solution of lidocaine and sodium bicarbonate was instilled before the PPS to reduce the procedure-related discomfort and to improve the retention of the subsequently instilled PPS . In most studies a first symptom evaluation was performed at week 12; however, different scales/scores were used. Among them, the most commonly used were the O’Leary–Sant Symptom and Problem Index (ICSI/ICPI), the VAS pain assessment and the Pain, Urgency and Frequency (PUF) score. According to their design, studies were classified as controlled (Table 3) and uncontrolled (Table 4) trials. All the studies reviewed reported reductions of VAS pain scores after treatment, including those controlled using placebo/inactive controls (Table 3). The ES of VAS reduction was calculated for each CT and showed significant differences between active and control groups in all but one study, which compared ChS 2 % with a placebo arm . The largest ES in all CT studies was observed for HMW-HA in the study by Shao et al. (Fig. 2) , with similar findings in two UCT studies with HMW-HA [16, 40] by a superior “d” for average VAS difference. Closest to this VAS reduction were the results obtained using 300 mg of intravesical PPS . Response rates were compared between intervention arms by ES assessment only in the trial by Shao et al. with HMW-HA (d = 2.68 [IC95%:1.82–3.53] vs d = 0.88 [IC95%:0.01–1.76]) for patients without intravesical therapy (Fig. 3). In CTs, studies with HMW-HA and with ChS 0.2 % reported superior response rates, with both rates (HMW-HA vs ChS 0.2 %) not being statistically different. The post-hoc calculation of composite ES based on VAS improvement plus RR revealed distinct differences among studies and products as shown in Fig. 4. OR value was highest for HMW-HA in the Shao et al. study , followed by the intravesical application of 300 mg of PPS described by Bade et al. . The NNT for a response to intravesical therapy ranged between 1.33 (HMW-HA) and 14.81 (ChS 2 %), with a negative value for the PPS combination therapy (Table 5). With this low NNT, HMW-HA was also significantly superior with regard to cost-effectiveness and cost efficacy to all other instillation regimes. The present meta-analysis on intravesical BPS/IC therapy clearly demonstrates the dilemma of the poor scientific evidence currently available for this disease. Owing to the different associations regarding the aetiology of the disease and its rather low prevalence, most published studies cohorts are heterogeneous. The lack of globally accepted instruments for the evaluation of treatment success resulted in the exclusion of some trials from this meta-analytical review because the reported outcomes were not comparable. Even after a careful selection of 19 studies, we still found a heterogeneous population of 801 patients (mostly women) who were considered to have BPS/IC according to four different diagnostic criteria and typified as “treatment-refractory” (a concept that is not further defined) in 6 studies or as “treatment-naïve” patients in 1 study. Differences in design are also of particular relevance as only 5 studies (26 %) compared the intravesical formulas against placebo or non-active controls, while the remainder corresponded to uncontrolled and observational trials. Length of treatment and frequency of instillations also differed: weekly instillations were initially performed in 15 studies, biweekly or twice weekly instillations were reported for 2 studies each, while the duration of instillation therapy varied from 6 weeks to 12 months. Similarly, the time period of follow-up for final evaluation varied from 3 months to 5 years. All the instruments/scales used for outcome evaluation (O’Leary–Sant Score, the PUF and VAS for pain) can potentially measure treatment effects, but they are not readily comparable with each other. There is also no globally accepted definition as to the percentage of symptom regression that is regarded as treatment response. In addition, relatively small differences in VAS scores before and after treatment may be statistically but probably not clinically significant. With the intention to improve the balance between investigational and clinical outcomes, and to extract the maximal information from the selected set of evaluable studies on intravesical BPS/IC therapy, refined statistical techniques such as Cohen’s d along with confidence intervals have been used in this meta-analytical review to be able to compare the selected set of evaluable studies. Interestingly, symptom improvement was observed in all cases, including those from the placebo/non-active treatment arms. By far the largest effect sizes (d > 2) for symptom reduction were found in 3 studies performed with HMW-HA [16, 34, 40]. With respect to response rates, effect size measurements showed similar results for HMW-HA and 0.2 % ChS, and for PPS. If only CTs were included in the analysis, HMW-HA was significantly superior to all other instillates (Table 3). The closest results on efficacy were observed with intravesical PPS  and a combination of intravesical plus oral PPS ; this last combined strategy reported by Davis et al. , however, showed a higher RR in patients who received oral PPS alone (90 vs 85.7 %). In the pharmacoeconomic approach of CTs, a clear advantage for HMW-HA was observed: the NNT for a treatment response was 1.31 for HMW-HA vs 2.74 for intravesical PPS and 5.51 for ChS 2 %. Cost efficacy (treatment costs * NNT) and cost effectiveness (treatment costs/responders) were higher for HMW-HA. Cost effectiveness was less than half for ChS and only about a third for PPS compared with HMW-HA, and cost efficacy was less than 25 % for ChS compared with HMW-HA. However, these results are based on a small number of studies with final analysis. The present meta-analytical analysis adds important information to the body of published evidence and is partly contradictory to systematic reviews that have been published in the past. In particular, ES assessment of outcome parameters facilitates the comparison of results with different GAG products for BPS/IC. Madersbacher et al. searched the literature for all forms of chronic cystitis, including radiation cystitis and also OAB (which is not considered a form of chronic cystitis) and excluded all but 27 publications for further analysis. They concluded that ChS is superior to other intravesical GAG substitutes. However, in their review, 368 patients who were treated with ChS had a diagnosis of OAB, 20 patients a diagnosis of radiation cystitis , and only 118 patients were “exclusively” diagnosed with BPS/IC. The authors also state that no significant superiority versus controls was observed in the single controlled study on ChS 2 % that was reviewed . Giannantoni et al. evaluated CTs and UCTs on a multitude of therapies for BPS/IC, including behavioural, dietary, interventional, pharmacological and surgical therapies. In their systematic review not a single study on HA therapy was included. Given the high number of publications on HA in BPS/IC reporting superiority to other intravesical agents, this review is presumably incomplete. The authors conclude that evidence of BPS/IC therapy is limited, and that only the oral drugs cyclosporine A and amitriptyline showed significant ES on the classical BPS/IC symptoms of pain and frequency/urgency. Fall et al. reviewed the literature to find an evidence base for treatment decisions in BPS/IC. Their conclusions were: level of evidence (LE) 1b/grade of recommendation (GR) A for intravesical PPS, LE 2b/GR B for HA and for ChS, and LE 3/GR C for intravesical heparin. The review performed by Matsuoka et al. included four treatment modalities for BPS/IC: resiniferatoxin, Bacillus Calmette–Guerin (BCG), oxybutynin and alkalinised lidocaine; as no GAG substitutes were evaluated, their results are not comparable with our analysis. In conclusion, this meta-analytical review provides evidence of the positive effects of intravesical GAG therapy for BPS/IC and that this treatment may significantly improve patients’ symptoms. Single reports even suggest that complete and permanent remission is possible in a subgroup of patients that has not yet been well defined [40, 42]. If medical and pharmacoeconomic aspects are combined, HMW-HA seems to have some advantage over other instillation agents. Despite these findings, direct comparisons between the different products have not been performed to date in properly designed controlled studies. The present meta-analysis suffers from the limited number of controlled accessible studies on intravesical therapies for BPS/IC and non-standardised response criteria. Many studies had to be excluded because of non-comparable inclusion criteria, treatment combinations and evaluation instruments. However, it gives a complete summary of all the data currently available and, by assessing the effect size, makes it possible to compare the relevance of the individual studies. Dr Agustí Martí Gil and Dr Cindy L. Larios from the Medical Department of Clever Instruments S.L. (Barcelona, Spain) collaborated as independent reviewers. J.M. Barua: consultancy and speaker’s honoraria for/from Mylan; I. Arance: none; J.C. Angulo: none; C.R. Riedl: consultancy and speaker’s honoraria for/from Mylan. Data and statistical analysis were funded by an unrestricted grant by Mylan.